For musicians, amps and equalisers maintain critical balance at high volume by fine-tuning musical frequencies – at Highland Park, their Master Whisky Maker, Gordon Motion, does a similar job. FULL VOLUME was created using 100% ex-bourbon casks rather than traditional sherry-seasoned ones. During 1999, a combination of 481 casks – 200 litre barrels and 250 litre hogsheads – were filled at strengths of between 63.6% and 63.7%. 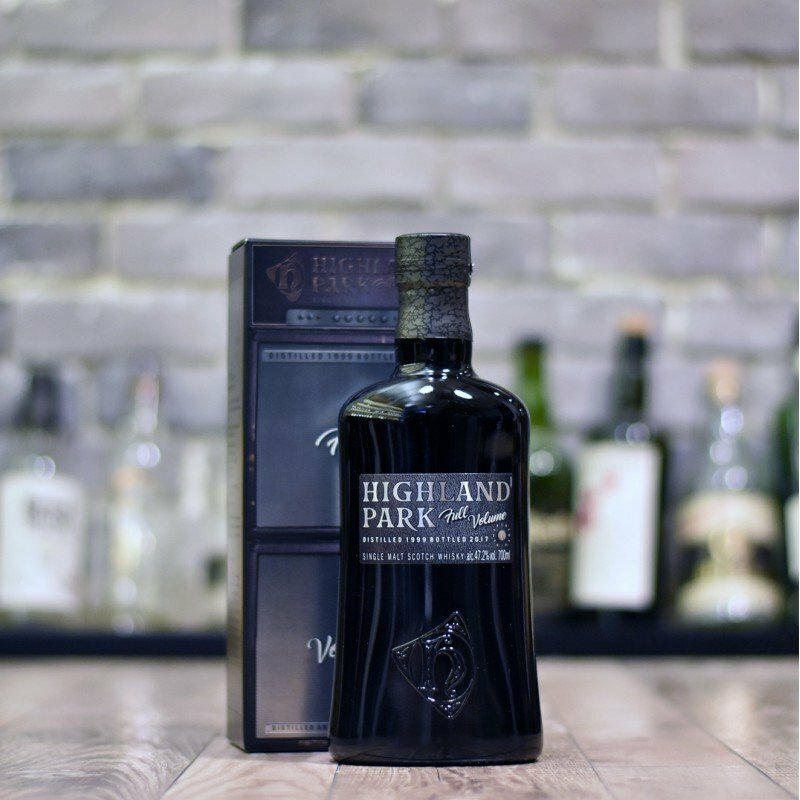 The whisky was filtered at just over 4 degree celsius and delivers flavours of creamy vanilla and sweet citrus fruits from the bourbon casks, balanced by Highland Park’s characteristic aromatic smokiness.